Giannis Antetokounmpo and the Bucks take control with a 38-18 first quarter. 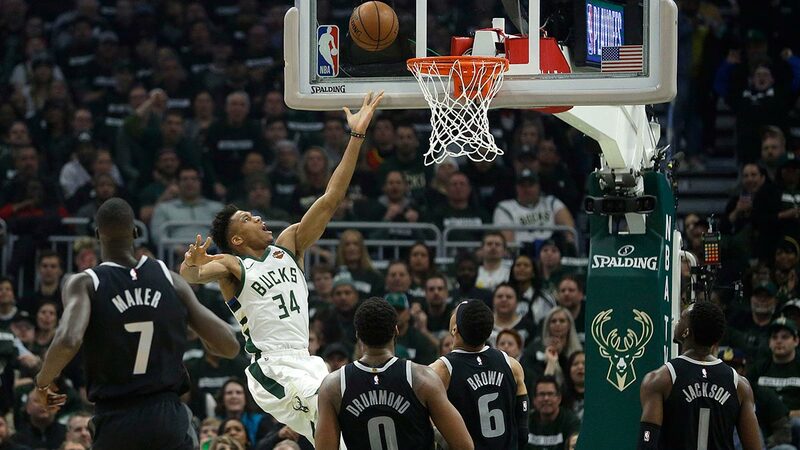 MILWAUKEE — Giannis Antetokounmpo had 24 points and 17 rebounds in just 24 minutes, and the top-seeded Milwaukee Bucks showed they were serious about making a playoff run with a 121-86 rout of the Detroit Pistons in Game One on Sunday night (Monday, Manila time). Game Two is Wednesday night in Milwaukee.